Bangladeshi model actress Nisho becomes a news performer. Nisho full name is Farhana Nisho. She has already popular for news performer. 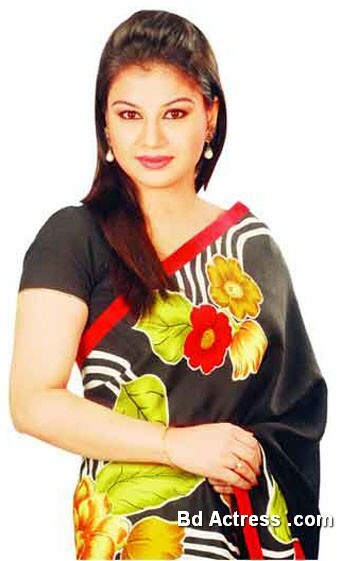 Recently Bangladeshi female news reader Nisho has performed a new advertisement. Niso is very serious for news performer work. Nisho has performed many advertisements, such as Sharp Blade, Dano, Roxy Paint, Meril Petrlium Jelly and so on. Nisho says, just I am popular for my work. Actually I am popular for news performer. In 2003, I had worked NTV news performer. It was a challenge profession. This is because if you want to be a news performer you must acquire good pronouncing, photonic, and clear voice. Nisho had job two multi national companies and it was full time duration job. That time, my schedule complex. Thus I enjoy a news performer. It is my dream. On the other hand a news performer always up to date. Besides, you will know a lot of Knowledge such as foreign, local and other affairs. Nisho has performed Hymayon Ahmed drama name Borshi. Opposite actor was Riaj. Nisho says I love work and I alive with my work.